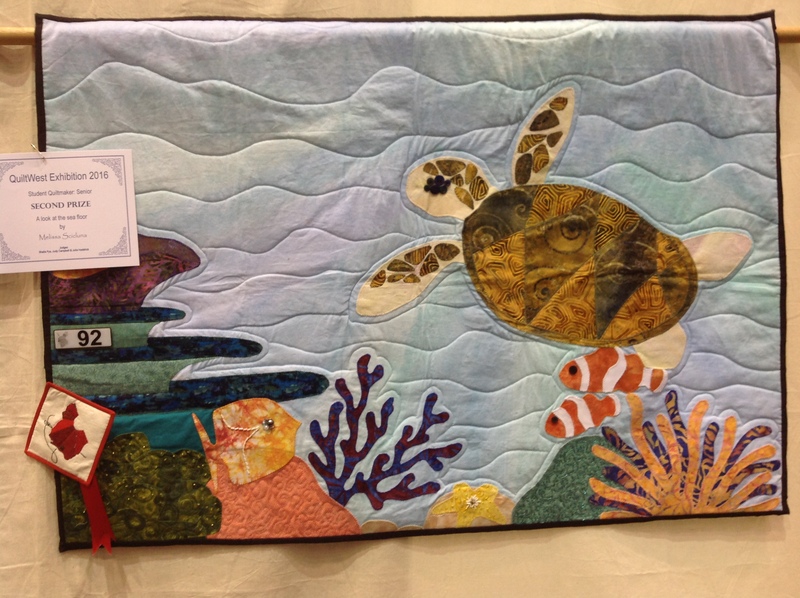 We are especially proud of the junior and student quilters who made such a fantastic effort at our recent QuiltWest show. Click QuiltWestYoungQuilters to check out their smiling faces! In an effort to encourage more young quilters we are planning to start a monthly ‘Young WAQA’ group later in the year. If you know of any youngster who would be interested in taking part please contact Phil Thomas: waqacoevents@gmail.com. We need to know suburbs and best times/days in order to try to accommodate everyone. This entry was posted in beginners, Groups, Notices and tagged juniors, student. Bookmark the permalink.